I know what you mean about them being fragile at times but I do find that is sometimes partly due to the fact there is very little defensive support from the midfield, weather that be in the centre or the wide players not tracking runs and the full backs being left exposed. The defence certainly need to tighten up though. The amount of changes of formation today was alarming. On Darryl, he was moved into centre midfield after 5 minutes. What possible reason was there to make that change as early as that in the game? I am the same as you I am very worried about next season. I'm not sure I trust Gavin Price to take us forward. Following a good win against Clyde with 7 defeats on the bounce is nowhere near good enough. I would also take Eadie back no problem. I thought he done a good job for us. Also agree on a good defensive midfielder hugely helping the defence. Soapy is also much more effective with more security behind him. Gives him the licence to attack without worrying to much of leaving holes behind him. Yet another defeat after conceding late on. 6 defeats in a row with Peterhead to come at the weekend. Awful end to the season. Really worrying signs. I would be happy if McHale was available for next season. About time our 1st choice goalie was a signed player. I believe he moved back to England due to losing his job with Moray Council so not sure staying in Moray is an option. Definitely think an experienced Centre Half is a priority. A 20 goal a season striker who will stay a few years and consistently score that many would also be great rather that loan strikers who do ok for a month then that's it. We haven't had that since Gunny lost his place in the team then left. I agree. The apathy has been steadily building this season. The fall in crowds is becoming quite alarming. The Albion Rovers game was the worst performance I've possibly ever seen. Not just because the lack of quality which was poor on its own, but for that lack of any kind of fight. 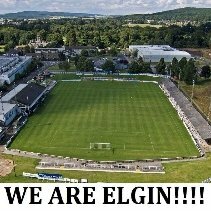 The fact that Cooper came out after the game and said he could tell in the warm up that Elgin were going to play like that is particularly alarming. Do we cut our losses and appoint another management team to carry out this rebuild needed or give Gav another shot at it? I'm undecided. 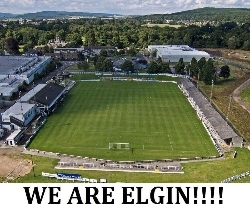 Sadly a similar theme for Elgin. Somehow manage to lose games when they play well and a draw is the least they deserve. Need to be a lot more streetwise in defending.